profitrip is a leading service provider in Europe for business hotel and rental car bookings. If you travel for business purposes, feel free to sign up. Please complete the form correctly. Please use your business e-mail address to confirm your association with a company. Alternatively, use LinkedIn or XING to register. This proof ensures quick activation and access to the attractive rates of our hotel and rental car partners. By registering I acknowledge having read and agree to the Terms. Unlike major corporations, small and medium sized businesses as well as the self-employed rarely generate the volume for negotiating lodging discount with hotels and hotel chains. Rooms are therefore booked at standard prices available to anybody and resulting in unnecessary higher business travel expenses. These costs are a particular burden on smaller companies. We are a leading provider for business hotel and rental car bookings. Our service may be used by businesses of any size – from the self-employed all the way to companies with several thousand employees. Our focus is on small and medium sized companies. We excel through attractive prices, simple processing and management of bookings and faster customer service. You can easily book for yourself or your colleagues. With our proprietary status program you can benefit from additional discounts and special rates. Bonus points can be collected for bookings and redeemed for free lodging. We feature over 300,000 hotels worldwide of all categories at discounted rates. We primarily offer all available room categories from Standard to Superior/ Deluxe all the way to Executive / Club Level. Special terms with 1,650 global and local partners allow you to rent cars from approx. 32,000 sites at extremely attractive prices. Our team is made up of people with years of worldwide business travel as business consultants. We are familiar with the needs of business travelers and the tremendous costs incurred. Years of working with companies in the tourism industry allowed us to build a large network in this industry we can now draw on. We are also experts with broad online experience. For years we have been preparing and marketing online offers for various markets worldwide. Our goal is to offer you less expensive business travel. Our booking technology is a proprietary development and patented. Our innovativeness secured us the Federal Ministry for Economic Affairs and Energy as well as the Investitionsbank des Landes Brandenburg as strong partners, who support us with aid from the European Union. 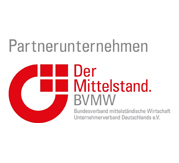 As an active member of the federal association for independent travel organisations, Allianz Selbständiger Reiseunternehmen e.V., we support the growth of the tourism small firm sector in Germany. Our membership in the association also allows us to ensure further qualifications for our staff and exchange know-how. 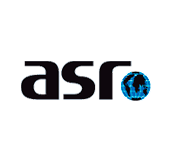 Member of the Bundesverband ASR e.V. 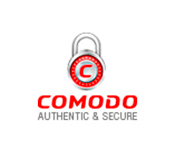 Our website features an SSL security certificate by comodo. Sensitive data is therefore transmitted encrypted and secure. Payment transactions are processed by our partner iPayment (affiliate of 1&1 Internet AG), which is PCI DSS certified. All payment information is therefore demonstrably saved with maximum security and diligence. If you have questions about the use of our website, please do not hesitate to contact us. Contact information is available here. Our FAQ answers the most frequently asked questions.